Manufacturing artificial holiday decorations since 1991. Seasons' Specialties, Inc. is one of the largest wholesale manufacturers of artificial holiday decorations in the Eastern United States. We offer a wide range of decorative items for almost every major holiday including; Christmas, Easter, Halloween, Valentine's Day, St. Patrick's Day, Thanksgiving and Memorial Day. 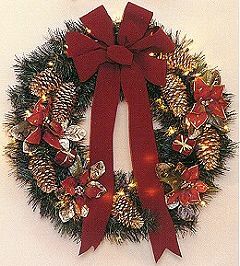 Along with holiday decorations, we also offer an extensive line for general Spring, Summer and Fall decorations. About Us || Our Products || F.A.Q.